Born in Whitechapel, London, in 1895, William Elhanan Gascoyne was one of 14 children born to Gilbert and Eliza Gascoyne. Having moved by 1901 to Long Crendon, where his father was manager of Horner’s Works, William attended Lord Williams’s School in Thame. Initially enlisting just before the start of WW1 with the 2nd London Regiment (Royal Fusiliers) Private Gascoyne landed in France with the regiment in January 1915, and saw action in several battles on the western front, returning to England in July 1916 having been wounded at Ypres. 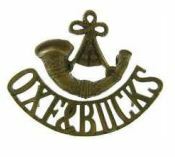 He then applied for officer training, gazetted as a 2nd Lieutenant in March 1917, and posted to the 2/4th Oxford and Bucks Light Infantry. On 22nd August 1917 whilst engaged in an attack on Pond Farm during the 3rd Battle of Ypres, 2/Lt Gascoyne, at the age of 22, was one of three officers killed by sniper or machine gun fire. 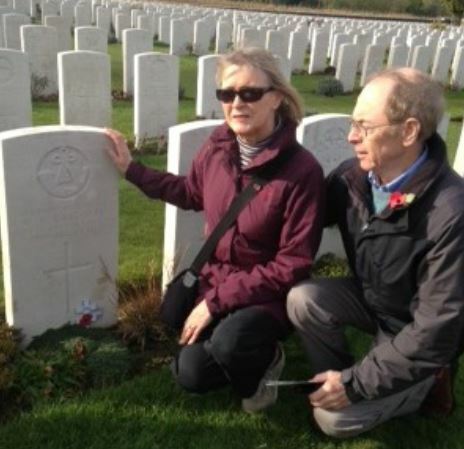 Initially buried in a battlefield cemetery, his body was moved to its final resting place in Tyne Cot cemetery in 1919. His widow May, who he had married just before his return to the front, was living in Prospect Villa, Long Crendon, and received his accrued pay and war gratuity of over £50. 2/Lt W E Gascoyne is remembered on the Lord Williams’s School Memorial Board in Thame, and on the Long Crendon War Memorial.